For the first time in history, the states of Washington and Colorado voted Tuesday to legalize the recreational use of marijuana. For the first time in history, the states of Washington and Colorado voted Tuesday to legalize the recreational use of marijuana in a ballot that placed both at odds with its prohibition by the federal government. In Washington, the measure will allow possession of small amounts by adults. In addition, sale of the drug will be regulated and taxed, potentially earning the state millions of dollars in sales tax per year once the parameters are set up. However, sales are not to begin until those rules governing the industry are in place, according to USA Today. A referendum on the controversial issue was also on the ballot in Oregon but wasn't approved by voters. Marijuana, properly known as cannabis, is a plant that is used as a psychoactive drug and as medicine. Pharmacologically, the principal psychoactive constituent in the plant is tetrahydrocannabinol (THC). There are a total of 400 compounds in cannabis, including other cannabinoids, such as cannabidiol (CBD), cannabinol (CBN), and tetrahydrocannabivarin (THCV). 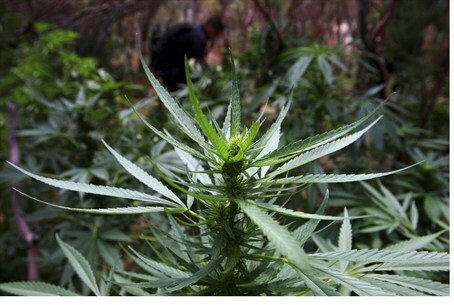 Marijuana, considered by many to be a "gateway drug" that leads to addictive use of other illegal and more serious psychoactive drugs, has been used for years in the medical field for patients with serious and life-threatening conditions, in 18 states in the U.S. as well as in Israel under limited conditions. In two new states, a bill was being considered in Tuesday's elections to allow the drug for medical use. Residents in Massachusetts voted to approve marijuana for medical use, specifically for patients suffering from cancer, Crohn's disease, Multiple Sclerosis, Hepatitis C, Lou Gehrig's disease, HIV, AIDS, Parkinson's disease and a number of other serious and life-threatening conditions.